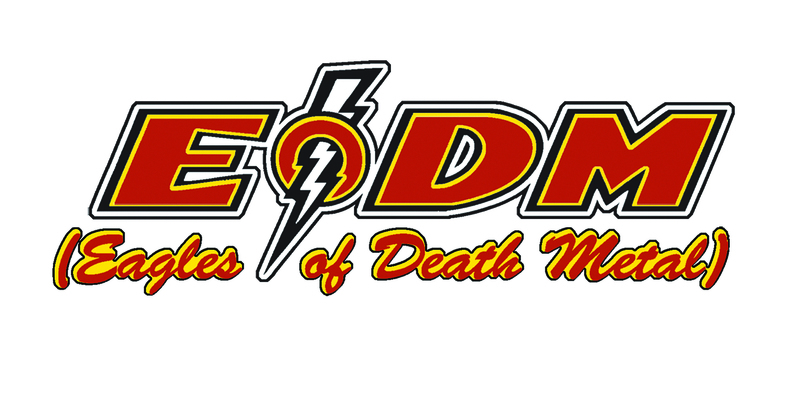 EODM (Eagles of Death Metal) announce more North American tour dates today, with the band's next trek to start in late April in Vancouver, BC. The tour will roll east across Canada before swinging south for more than 20 U.S. dates in May, June, and July. Tickets for some of the North American dates are on sale now, with those marked with an asterisk on sale this Friday, March 25th (see dates below). EODM will tour across Europe in August and September, with shows, including several festival appearances, in Poland, Denmark, Norway, Sweden, Germany, Switzerland, Belgium, Netherlands, Luxembourg, France, U.K., Italy, Greece, Israel, Spain, and Portugal.